We are selling raffle tickets for 2 tickets to see multi Grammy Award-winning musicians Chick Corea and Bela Fleck. The Kravis Center concert will be Friday, May 17th at 8 PM. Corea and Fleck will perform jazz, rock, blues and gospel music for a wonderful musical evening! Tickets are $10 and the winning ticket will be drawn at the luau on April 6. You do not need to be present to win. Please add the email used on the flier here. For more information or to purchase tickets – call 561-328-5905. BUY YOUR TICKETS TO THE LWHS ALUMNI FOUNDATION LUAU TODAY! A reminder that tickets for the luau need to be purchased by March 28th . Don’t miss out, it’s going to be a fun evening!! We will NOT sell tickets at the door. For tickets call 561-328-5905 or email LWHSAlumniEvent@gmail.com. To celebrate the Centennial of Lake Worth Community High School, we will launch “A 5-year Countdown to 2022,” the 100th year of the school’s existence, with a brick sale: “$100 in honor of 100 Years.” Proceeds will support the mission of LWHS Alumni Foundation to provide grants and scholarships for the general benefit of the school and its students. CONGRATULATIONS to Lake Worth Community High School Choral Director John Weatherspoon. He has been named a top 10 finalist in the nation in the Grammy Awards Music Educator of 2019!! I received a letter and attachment from LWHS Trojan Sound Band Director Tiffany Cox. She is looking for donations to help fund their Spring trip to Tampa to work with the University of South Florida Director of Bands. Any donation is worthwhile and can assist these great kids to be a part of this event. They have worked so diligently this year. This would be a special reward for them as well as a terrific recruitment incentive for future band members. If you would like to make a donation -big or small – , please complete the attached form. 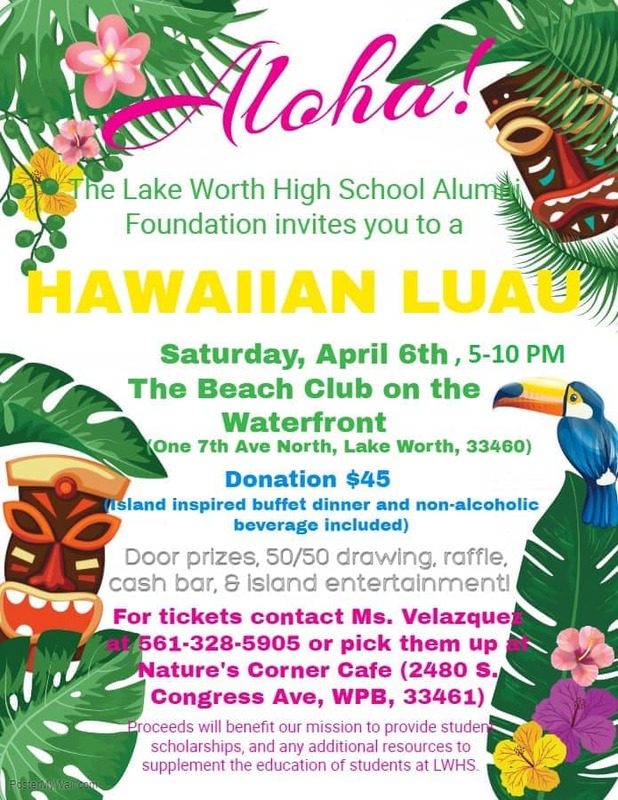 In addition, we will also be sending out periodic email blasts to notify you of LWHS Alumni Foundation and Lake Worth Community High School upcoming events. If we do not have your email address or if it has changed, please let us know. How can you donate to Lake Worth Dollars for Scholars on Amazon without any cost to you? Believe it or not, you can. When you are making purchases on Amazon, instead of going to Amazon, type in Smile.amazon.com. When you are asked to choose a charity, type in Lake Worth Dollars for Scholars. Amazon will find Scholarship America Inc – Atlantis. 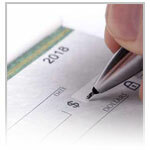 Lake Worth Dollars for Scholars is under the umbrella of Scholarship America Inc.
Now that you have selected Lake Worth Dollars for Scholars as your charity – and as long as you enter the site with Smile.amazon.com – Amazon will make a percentage contribution based on the amount of your purchase. So start shopping and help Lake Worth Dollars for Scholars at the same time! Please share this information with your friends. Thank you for your support! The Alumni Board of Directors lost not only a wonderful Treasurer and Board Member, but a loyal and terrific friend with the sudden passing of Randy Hall. A 1960 graduate of Lake Worth High School, Randy was an integral part of our Alumni Foundation, serving as Treasurer, and was a well respected and invaluable member of our Board. The Lake Worth High School Alumni Foundation is setting up a Memorial Fund in Randy’s memory. If desired, please send any amount, tax deductible, to the address listed below and note Randy Hall Memorial Fund on your check. We certainly appreciate any donation.